The Hanford Advisory Board—created to provide recommendations, information, and advice to the DOE Office of Environmental Managementmdash;recently added a new representative to their Board. 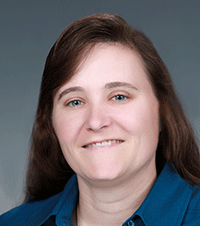 Dawn Wellman, program manager for environmental remediation and health research at PNNL, was appointed to the Board in July and will serve for two years. As a member of the board, Wellman will represent the interest of the Benton-Franklin Council of Governments while providing expertise for issues including cleanup standards, environmental restoration, waste management and disposition, future land use, and risk assessment and management. In addition to advising DOE, the Hanford Advisory Board also gives informed advice and recommendations to the U.S. Environmental Protection Agency, and the Washington Department of Ecology. Armed with the perspectives and concerns of affected stakeholders, such as the Benton-Franklin Council of Governments, DOE can better orchestrate cleanup activities at the Hanford Site.